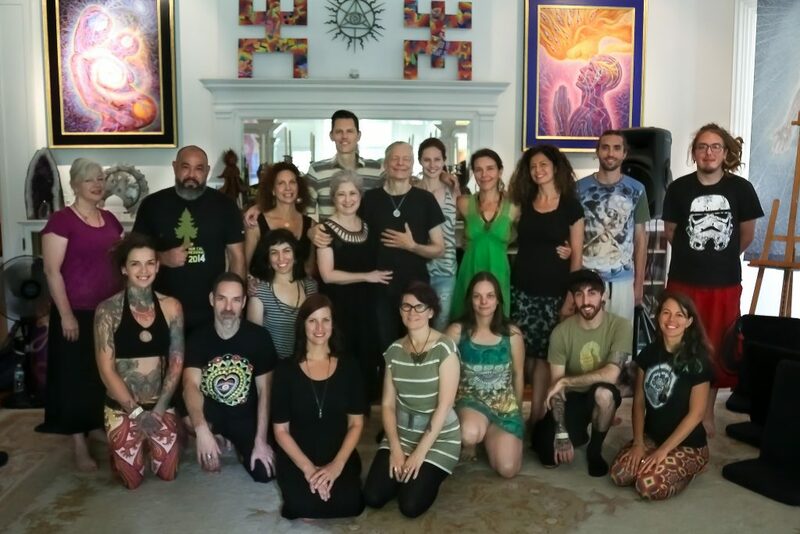 Preface: I attended the CoSM Visionary Painting Intensive with fifteen other skilled visionary painters at the Chapel of Sacred Mirrors in Wappinger Falls, New York in July, 2016. There’s something about riding a train to a destination that puts me in that contemplative creative mood. Departing from Grand Central Station on a Saturday afternoon, the Metro North Hudson line rails set me on my way up to Chapel of Sacred Mirrors (CoSM) for the first time. Riding alongside the Hudson River, I’m gazing out the window filled with questions and overfilled with anticipation of what CoSM will be like. After departing the train on the New Hamburg stop, I was now a three minute cab ride from this special place and beginning one of the most exciting and important weeks of my artistic life. 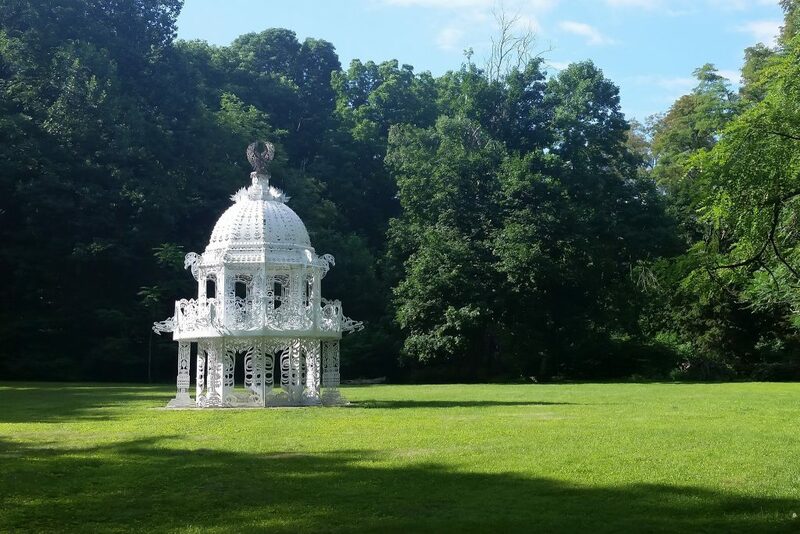 Pulling up to the grounds of CoSM immediately set the tone for the week. 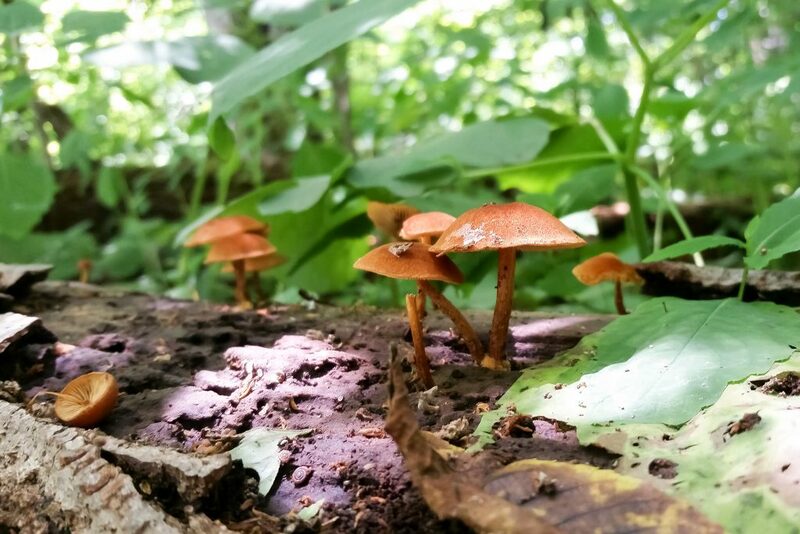 Lush forest grounds, winding wisdom trails with secret art installations and mushrooms abound! I could feel the magic in the air as soon as I entered the property. I arrived a day early and woke up the following morning to a very quiet, peaceful place. 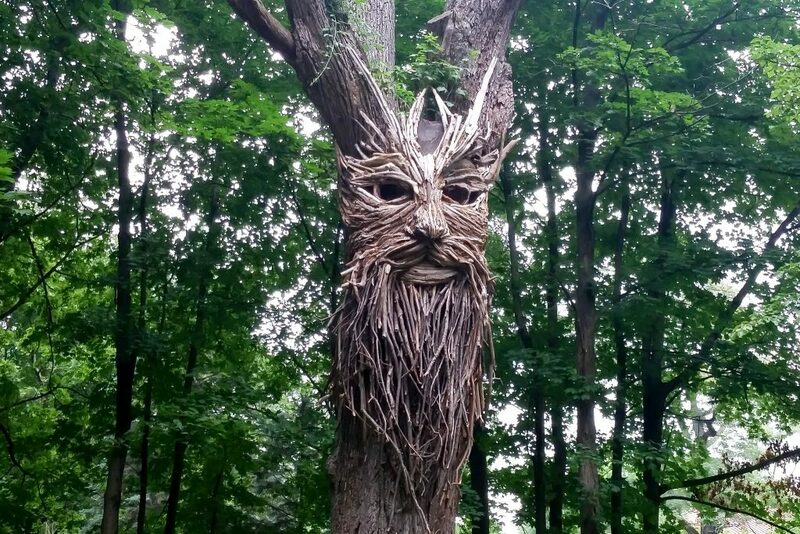 With sketchbook in hand I took my first walk on the Wisdom Trail and came across a few brilliant installations along the way. First, the beautifully painted and clever re-use of the sun deck where I found artist, Sean Yarborough, quietly reading a book on the hidden sun deck. Wandering further I see a 10′ tall stick figure lurking where the trail turns. 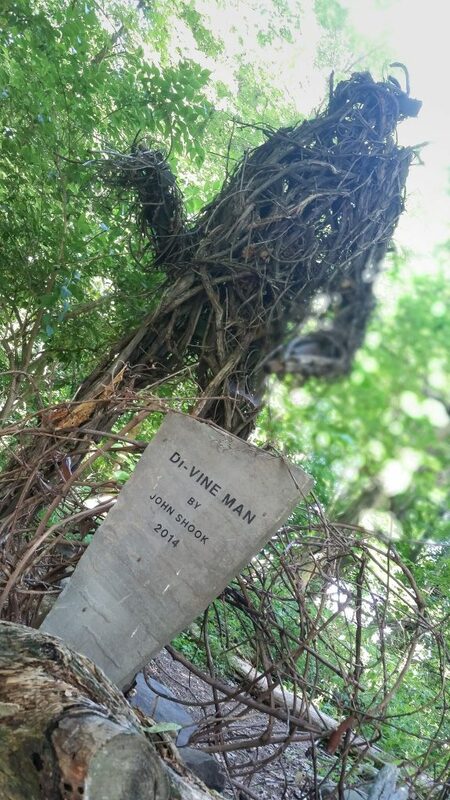 As I come up on this incredible structure, I am in awe of the spiritual presence of this stick and branch sculpture by John Shook entitled, “De-Vine Man.” As the path bends around it leads to another part of the trail where you come across life size human “birds” nests, a reflection pond, labyrinth, a dilapidated piano and many more surprises. I can’t recall a time I have been around or had the privilege to learn under a true master. 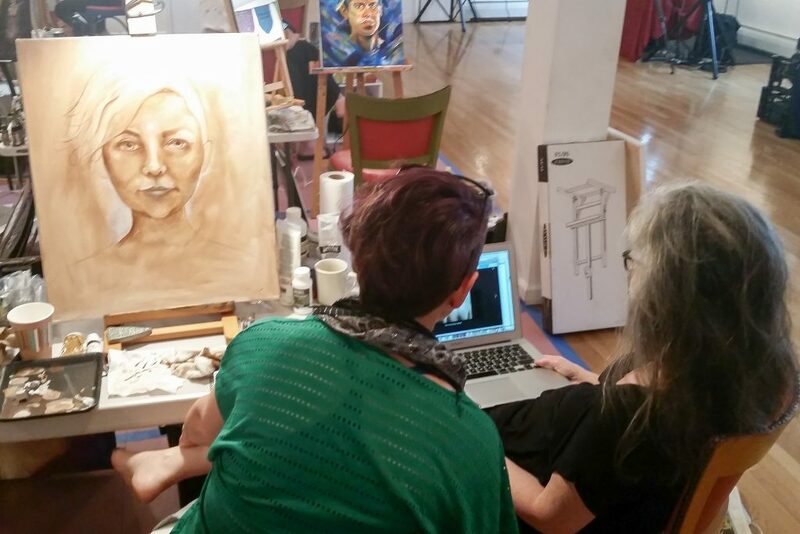 This became apparent on day two when I was having trouble placing my eyes on my self-portrait. Alex came over and taped a piece of tracing paper over my painting and began sketching. I realized right away these are what strokes of a master look like. Even when casually drafting with a chalk on tracing paper, he made each stroke matter before the chalk hit paper. 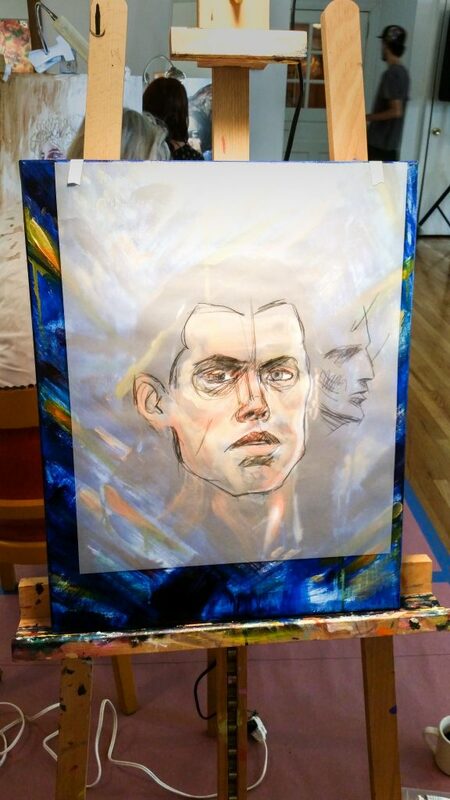 In further explaining the planes of the face and how shadows hit them, he whipped out a few random lines that quickly turned into a perfect face profile and added shadows. Throughout the week I observed his focus and meaningful brush strokes on the pieces he carefully painted on his easel. With a child like innocence and joyous approach, he balanced enjoying making art with true professionalism and years of clarity and focus. I have what seems like an unlimited supply of creative energy and ideas for creating work, but being surrounded by fifteen other dedicated artists honing their craft and passion was unbelievably inspiring. It’s like having a really good battery, then multiplying that battery power amplified by fifteen. We had a painters power station that was so charged you could literally feel the heat. I give much credit to Alex and Allyson selecting this year’s MAGI class as they really did an amazing job finding so many different artistic styles. 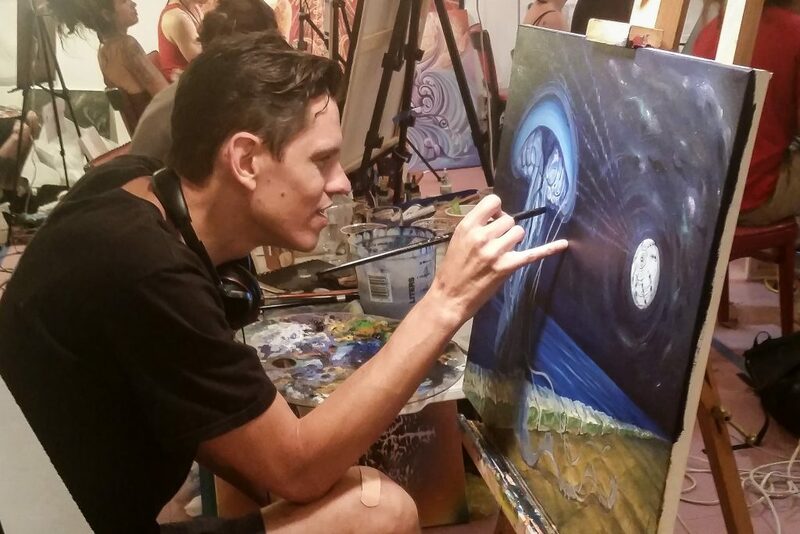 Watching blank canvas’ get filled with images using such a variety of techniques, tools and styles was truly a gift to watch. We were a flock of creative birds painting towards a visionary destination. The entire experience was, without a doubt, a very impressionable moment in my life. 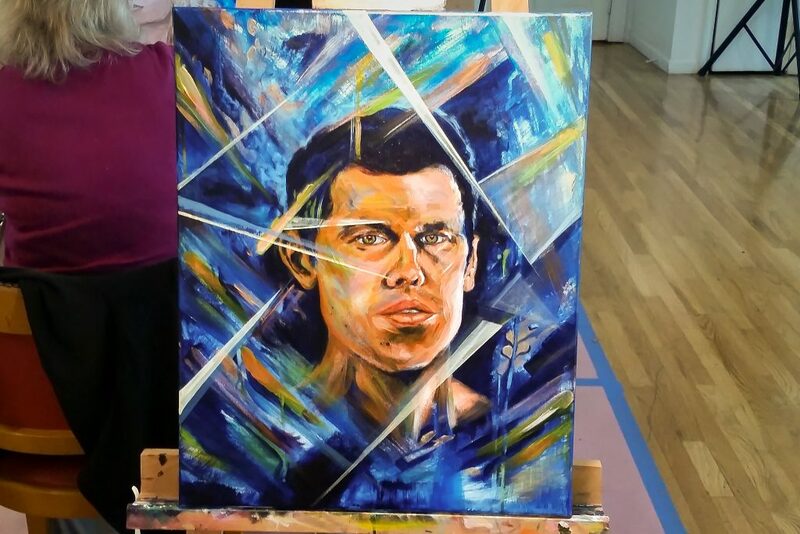 Mostly a self-taught artist, I have been sticking to the grind making as much art as I possibly can while keeping up with Bowen Imagery and all the ancillary experiences of life that take time away from my soul calling. 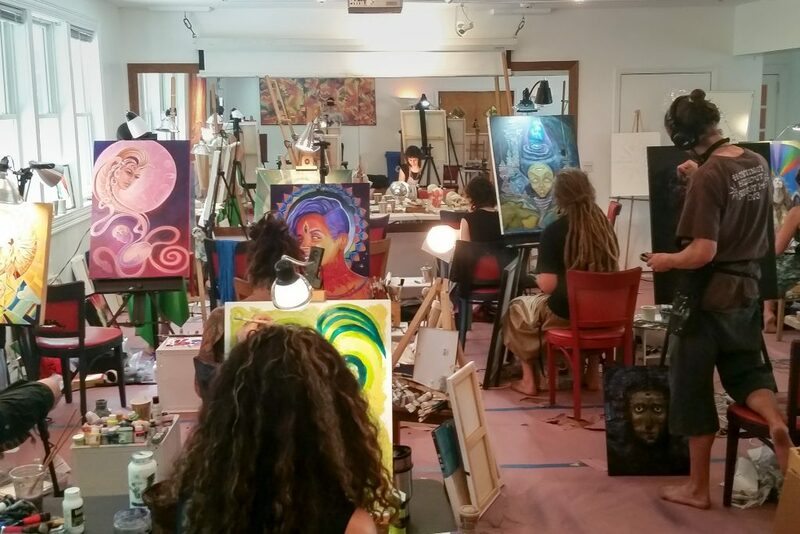 Having the opportunity to focus completely on artwork for an entire week immersed in an artist’s retreat and surrounded by other dedicated artists can set new patterns for success. Through observation, conversation and lots of time on canvas, I feel I’ve reached a new height in my artistic journey. One of my intentions before the workshop was to discover an authentic theme or body of work that was meaningful, challenging, interesting and provided a visually attractive subject. 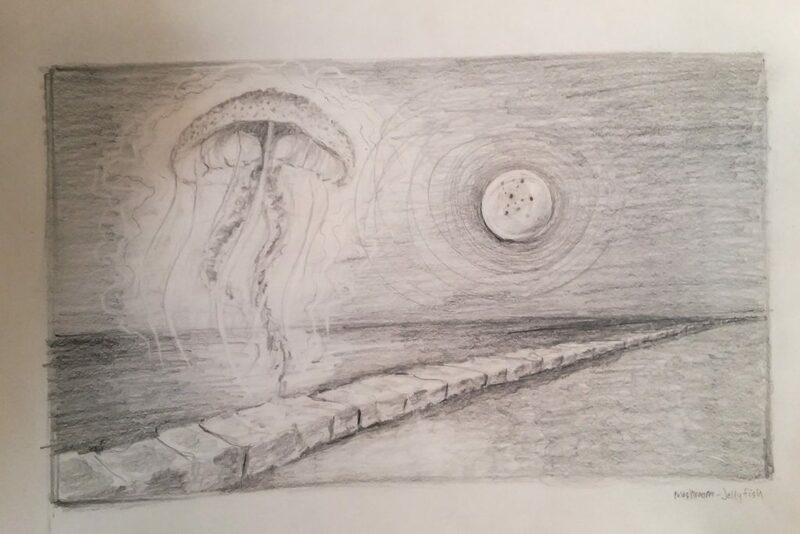 From many different exchanges, dreams, encounters and moments I was finally led to the jellyfish. 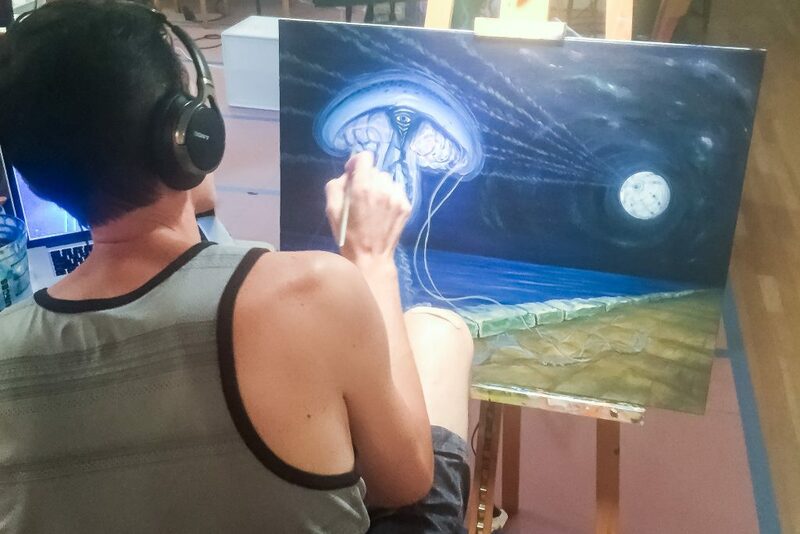 The jellyfish became my theme to study and was the focus of my visionary painting at the intensive. With a rich history of symbolism and meaning, this beautiful form also resembles a mushroom and I have since discovered the bell shape has many different applications in our everyday lives. Always expect miracles while in a dream land, painting dreams and hanging around brilliance. 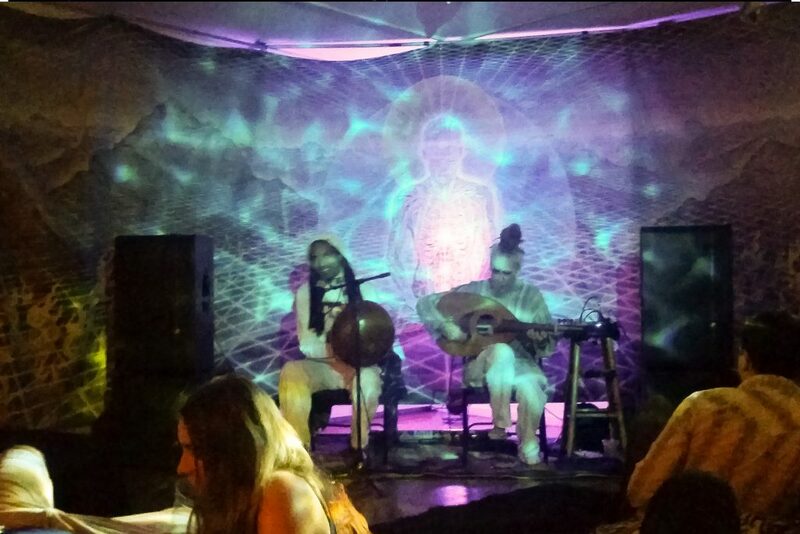 CoSM moved their Full Moon Gathering event to coincide with our last night and what a blessing that was. We all got a chance to kick back and enjoy the closing event of the night. What a surprise when I walked in to see an old friend, Kevin Hylton from Brooklyn, as the guest musician for the evening! I looked at him, he looked at me. We both looked in disbelief and finally it registered as reality and we gave each other a big hello and a hug. I decided to sit and reflect on my week (in the same room we had been painting in) and listen to my friend Kevin play some beautiful Mbira music (support local Brooklyn music and receive complete peace while listening!). As I am sitting by myself looking at my jellyfish studies from my sketchbook, a very interesting character looked at me with wide eyes. I looked back bewildered as he explained how for a moment he thought I was Gabriel Kelemen, a dedicated PhD scientist/artist presenting his findings where sound meets substance. He thought I was Gabriel Kelemen because of my sketches. Turns out this fella is obsessed with jellyfish and we shared all kinds of knowledge about this fascinating creature. 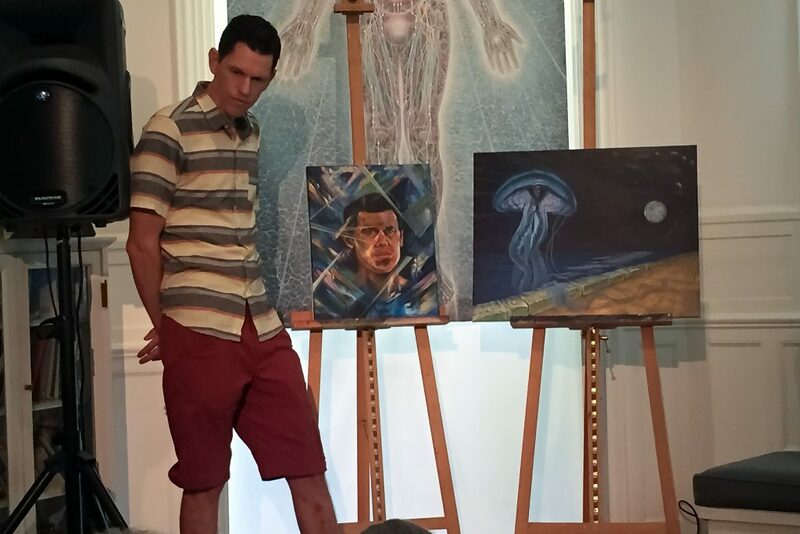 After making many new talented and genuinely good friends it was time to say goodbye to CoSM and leave the orbit of this very special universe Alex Grey and Allyson Grey have created. 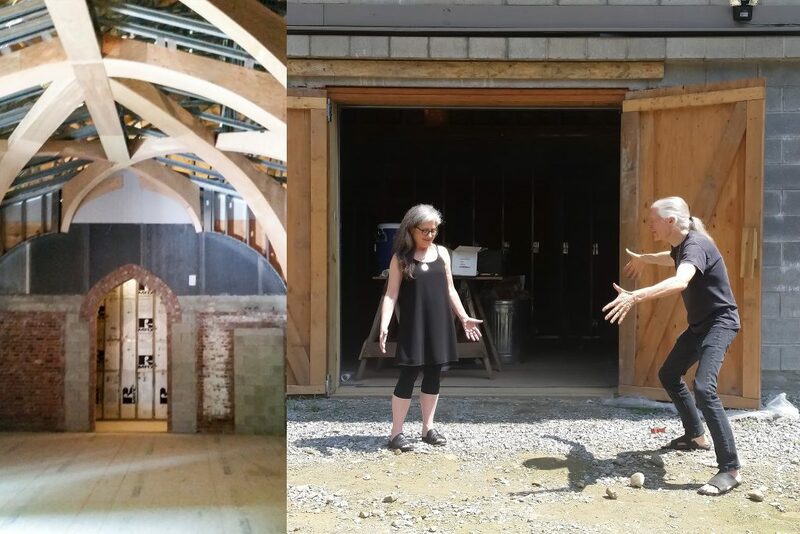 We were honored to get a private tour of Entheon, a massive visionary art sanctuary that will become the new home of the Sacred Mirrors and many more important visionary works. 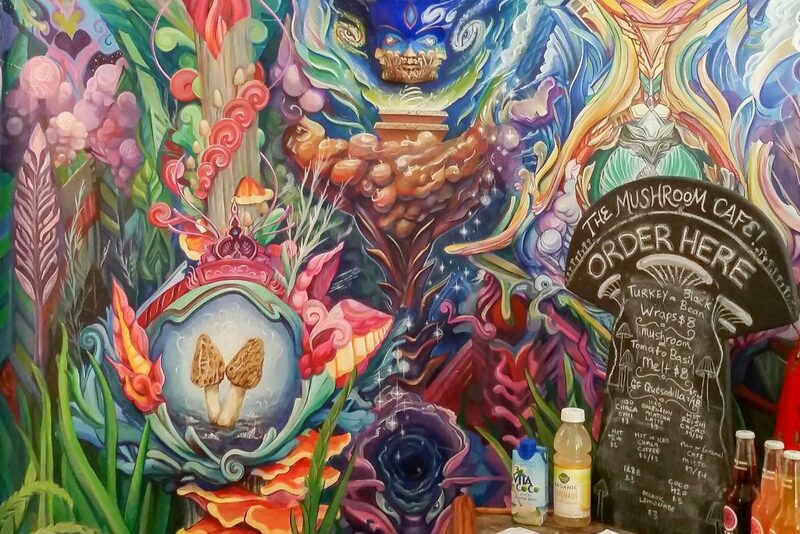 I enjoyed every moment of conversation during our included healthy breakfast, lunch and dinner as well as the amazing Lion’s Mane (mushroom) Matcha tea from the mushroom cafe. From this experience I have once again remembered to always move forward on those little nudges I get. I recommend you do too – take a chance and invest in something you believe in, you will be richly rewarded. Blessings and here’s to opening the world’s visionary eye for a better world full of creative energy! Thanks for sharing this amazing experience Mike and for taking us through the journey with you….